After a flurry of final docu-signings, and the big day where we sat with a notary in one of the model homes and signed our life away, we moved into our new house on October 26th. Move in day was a Friday, and we were back at work on Monday after spending the weekend making multiple trips between the apartment and the new house. Packing up and cleaning the apartment was a lot easier than packing up and moving the house, but it was still a lot of work. The movers got our stuff out of the storage unit and into our new house about 2 hours quicker than it took them to get everything out. It was so nice to finally be in our new house, but it was a total disaster area and there was nothing I could do about it. We had garment boxes in our bathroom for about two weeks before we found the time to get the clothes into our closet. The first thing we tackled was the kitchen, but everything else was a mess. I was exhausted from the move, then exhausted from being at work all day, and then we had a bunch of house errands to run on the weekend. I was useless during the week. I was just too tired, and by the time I get home at 5:30pm, I didn't know where to start. So I didn't. I had to accept that the house would be total chaos for a while and deal with it. But it was SO HARD! Two weeks after we moved in our parents came to town under the guise of attending a VFW Veteran's day celebration. It was all a lie! They were in town for my surprise book launch party, which I did manage to blog about. They stayed in town for the long weekend, and despite my ending up with a random mystery sickness that Monday, we had a great time with them as always. I'm never sick. We think it might have been something we all ate from Chinese takeout. I wasn't the only one feeling a bit "off" but I definitely got the worst of it. I had stomach nausea and pain all day. It didn't stop me from taking a 3 mile walk with my mom and MJ, but I fell asleep on the couch, and ended up calling in sick to work the next day. By this time we were fully unpacked with just a few lingering boxes in each room to be dealt with later, but it was so nice to have a day to catch my breath, and take care of a few odds and ends. The very next week we drove to Las Vegas to spending Thanksgiving with my parents. It was just the four of us, and it was a super nice and relaxing Thanksgiving. It took us five and a half hours to drive there on Wednesday night, and about four and a half to get home on Sunday morning. We haven't driven there in a really long time. We usually fly, but we decided to save money and hit the road this time. The very next weekend after that we flew to San Antonio for a wedding; one of MJ's good friends from way back. I haven't been to a wedding since little sis in 2016. It was my first time in Texas and my first time staying at an AirBNB. I didn't pick it, so I was a little bit nervous, but it was really nice and really clean. We shared a large 4 bedroom 3.5 bath home with two other couples, but we did have our own bathroom. On our way into San Antonio we were supposed to fly from San Diego to LAX and then from LAX to San Antonio, but due to storms we were delayed in San Diego which caused us to miss our connecting flight at LAX. For some odd reason we were re-routed to Detroit. Detroit?! So we spent all night flying from LAX to Detroit and then from Detroit to San Antonio arriving on Saturday morning instead of Friday night. 12 hours late. It was pretty awful. I have family there, so I got to see my aunt. We did not remember to see the Alamo, but we did have dinner with my cousin and her husband at the Riverwalk. The wedding was beautiful, and I had a freaking blast at the reception. Everyone at our table was so nice and fun. The bar was open, and the DJ was good! I spent most of the night dancing. 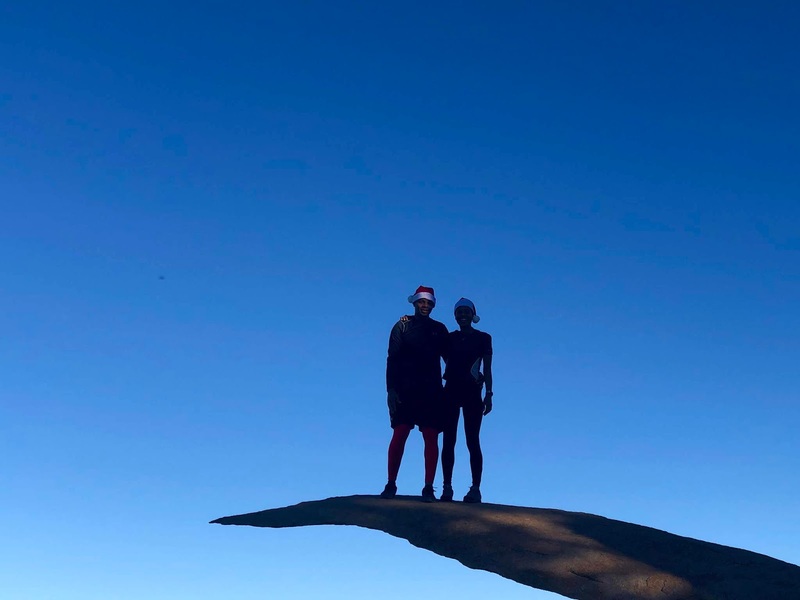 We spent the Sunday before Christmas break hiking with our landscaper at 7:00am, and then delivering MJ's homemade cookies all over San Diego county to friends. That day really highlighted what I already knew. I just don't have the energy that my husband does. He drove to Vegas after working all day without batting an eye. I was walking dead by the time we got there. He drove us home, and was up the rest of the day like the energizer bunny while I had to take a nap. 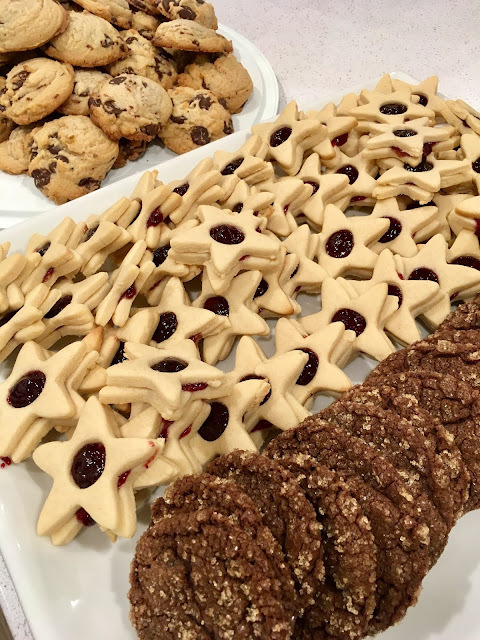 After a 4.5 mile hike at the crack of dawn and breakfast with our hiking group, we were only home for about 3 hours before we set off to deliver cookies from 3:30-8:30pm. I took a quick nap after hiking, and was fighting sleep in the car by 5:00pm. He didn't even START to get tired until about 7pm! Oh my goodness, I am one tired person. My insomnia has been under control for the last few months which is simply AMAZING. I'm so grateful for all of this great sleep, but I really need to figure out how to get some more energy in my life. At work, the last few months of the year are always the busiest. The entire month of November was busy and December was even worse. We got back from the wedding the first Monday in December and I was drowning in work up until the last minutes on the very last day of work before Christmas break. I was just completely spent, and so ready for some time off. We had a nice Christmas, just the two of us. We exchanged gifts in the morning, and spent most of the day making dinner. He did all of the work. The only thing I was really allowed to help with was mac & cheese...which he doesn't even eat. It wasn't as good as my mom's but I'd say it was pretty good for my first time making it. That night we went to an 8'oclock showing of Aqua Man. Sadly, I actually thought it might be too late for me, but I was fine. We got a wreath for the front door and some holiday projection lights for outside, but we didn't get a tree. 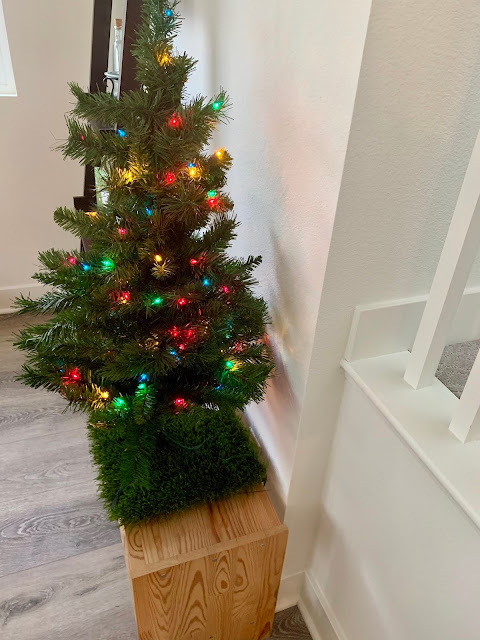 The plan was to use the mini pre-lit tree I bought two years ago, but then we discovered that 2 of the 3 legs went missing in the move. In a last ditch effort, I went into the garage and recovered one of the legs, and made do by propping it against the wall. With any luck we'll find the last leg after organizing the garage. That fun project is happening this weekend. We are not mostly settled into our new house, but getting here was such a whirlwind. Aside from unpacking, organizing, additional purging, and the sourcing and buying of things needed to set up house in a new space we also had to get window covering and landscaping done. MJ handled the estimates for both. The window coverings are done, and we love them. The front and back yard landscaping is in progress as we speak. How is 12 days off not long enough? Every other year it felt like plenty, but this year, I want more. I'm pretty sure that means I'm old! I organized the pantry, finished reading a book, put together shoe shelves, got rid of old documents, transferred photos from my phone to my laptop, listed a bunch of items on Poshmark (and sold two), supervised the professional cleaning of our couch, and got this blog post up. Oh my gosh. Is that really it? Oh well. I don't care. The only thing left on my list is to register all of our kitchen appliances online, finish watching Making a Murderer Part 2, read a book, and take a bath. If I do nothing else, I'm going to be satisfied because it's called winter BREAK for a reason. This reads like your book which I enjoyed because I feel I know you. Enjoy the break and Happy New Year when it arrives. I don't know why people don't like these type of posts ... frankly, I love them, haha! You've been busy which is why you're tired, haha. Happy New Year and best wishes in your new home. I bought your book but it’s in my stack to read! Cheers to 2019!